This is not your average "we sell eco-friendly paper products guide". This directory showcases companies selling recycled paper products made of the highest recycled content. These companies actually carry the highest quality recycled paper products at affordable prices. These are not big box stores that simply "advertize" recycled office products, these companies DO sell the best of the best. 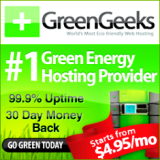 What's more, they have some of the highest green business accreditations obtainable today. 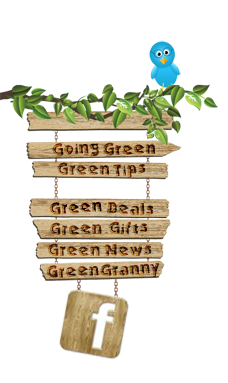 Many even donate to green business organizations. When it comes to the sheer importance of recycle paper products, yes we could drill you (and we will shortly below) with a ton of factual information that may astonish you, but for the moment we will try to stick to the fact that you found this directory and that you are probably already on board when it comes to recycling. If so, you already know what is about to be written, so take a look at the stores we have dedicated our support to above for all things office supply and recycled paper products wise. You will quickly understand why they are our top choices for eco-friendly paper products production. They walk the walk and talk the talk. For those of you who are absolutely brand new to recycled office products and paper products, read on. About 35% of municipal solid waste (before recycling) by weight consists of paper and paper products. This is absolutely avoidable. The office place (home or business) is probably the number one culprit when it comes to needless paper waste. Without getting too far into detail as to the staggering statistics regarding utter waste of paper products we want to mostly focus here on how to but the best, highest quality recycled paper products. Finding recycled paper online is a breeze, but buying actual high recycled content paper products can be more difficult. This is simply because many stores will advertise that they sell recycled paper items and office supplies, but that does not mean theses products that they are selling are of the highest recycled standards. Labeling can be misleading. Marketing is not always transparent and forthcoming either. There really is no governing on what terms an advertiser can use when marketing their products. That is why we have created this directory page (and it is the general concept for our website). Buying recycled paper products is more than buying something that says it is recycled or eco-friendly. Understanding just how recycled and recyclable a paper product is will be key. You are probably now wondering how long it will take you to search the internet for high quality, high recycled content paper items. No worries, we have listed the top rated online stores selling the absolute best products. These companies not only sell the real deal, they advocate recycling in the business and donate to green causes. Just check out there accreditations. When you are ready to but recycled paper products, keep the following question in mind. Does the store you are browsing carry truly eco-friendly products AND practice green business? The stores above do!